Alphacool now offers the Eistools Crimping Kit which has everything you need to create your own perfect cables. Sleeved cables have become the norm for most modded computer builds and nothing is quite as good as when they’re hand made. The sleeved cables of most power supply manufacturers are usually loose, or you can see the original cable through the sleeve. This is not everyone's cup of tea. Many modders want a nice smooth and tight sleeve, preferably in a colour of their choice but to do this, you will need the correct tools. Alphacool now offers the Eistools Crimping Kit which has everything you need to create your own perfect cables. 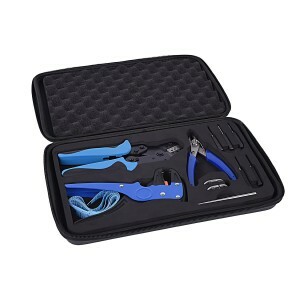 The crimping tools are safely stored in a foam insert inside a compact protective zipped case. This will ensure you can keep everything clean and tidy and makes it harder to lose anything. Several pin removers are included so that the cables can be easily removed from the individual connectors. These are compatible to remove all Molex terminals which can be found on a typical PC power supply. Therefore 3 different female extractors are included and a male extractor for the PCIe, ATX terminals and the 4 or 8 pin EPS connectors. Sharp side cutters have been included to allow you to cut wires to the desired length, whether you are shortening the original PSU cables or if you are creating your own, side cutters are always useful. To help you sleeve, particularly with paracord, the Alphacool Eisttols Crimping Kit comes with a special sleeving needle. The cable itself can be inserted at the rear end of the needle and then the sleeving needle is simply pushed through the sleeve together with the cable. This prevents the cable from sticking to the sleeve or even damaging it. If you have shortened or created your own cables, you will need to remove some insulation before crimping new terminals onto the wire. To do this you can use the automatic wire stripper that is included in the Eistools kit. With this stripper, you can determine contact pressure and the length of the insulation to be stripped and get the perfect result every time. This is basically child's play and can be done by anyone, even without prior knowledge. The crimping tool is required for the penultimate step. This is used to crimp the terminals you require onto the wire before you put them into the connector housing. 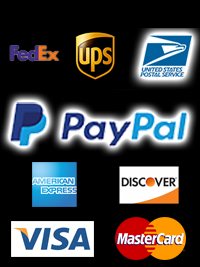 You will need to purchase the terminals you need for your project separately as there are many different types. The Eistools set also includes alternative crimping jaws for terminals of different sizes. To change the crimping jaws, simply remove the two pins at the head of the crimping tool. Then you can simply insert the alternative crimping jaws and reattach them with the pins. The last step is the simplest one. The cables with the newly fitted terminals and sleeve only have to be plugged into the desired connector. The self-sleeved cable is ready.